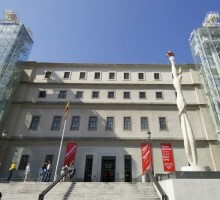 Activity: Visit to the Reina Sofía Museum. Services: Private Official Tourism Guide + Tickets. Departure: Date to be chosen by the customer. Time: To be selected by the customer. Start Location: To be chosen by the customer (hotel accommodation, entrance to the museum chosen ...). Conditions: Book at least 24 h. advance. Cancellation fee: 100% for less than 48 hours notice or no-shows. Tickets included in the price. Languages​​: Spanish, English, French, German, Italian, Portuguese, Russian and Japanese. 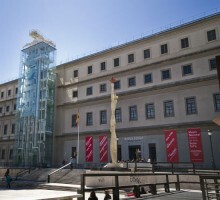 Observations: Museum opens daily from 10:00h to 21:00h, except Sunday from 10:00h to 19:00h. Tuesday Museum closed. Free entrance for people under 18 years of age. 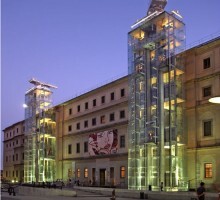 The tour includes the visit to the Reina Sofía Museum. 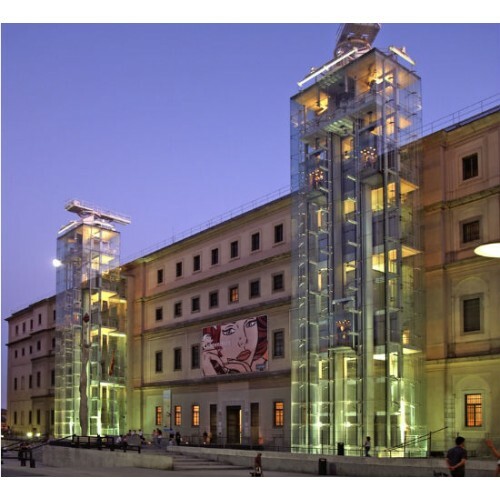 A private guide will meet you at your hotel or at the point agreed to make you discover the Major Works of this museum. The visit will last a maximum of 1.5 hours, you can decide the start time. 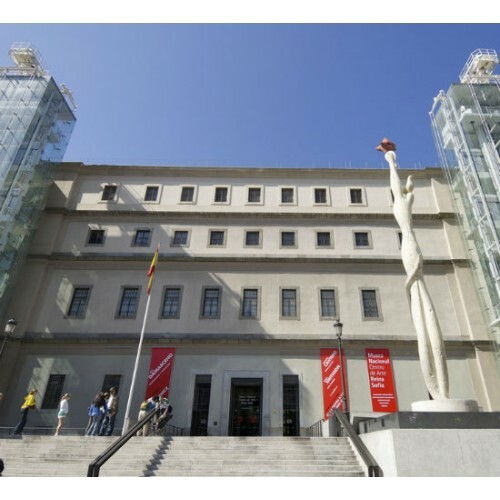 With our guide we tour all the rooms of its permanent collection, starting with the artists Century Change: Anglada-Camarasa, Nonell and Gutierrez Solana. Going through the rooms dedicated to Juan Gris, we will visit the sculptures of Pablo Gargallo and Julio Gonzalez. 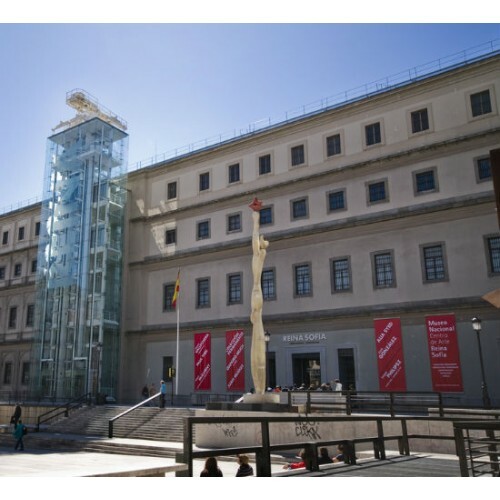 In this area of the museum are the paintings of Picasso, to admire the famous "Guernica" and "Woman in Blue", to pass into the halls of Miró, where there is a representation of various stages of painting. Continue to the exhibition of paintings by Dali, we can observe interesting topics of all periods.